Any size, any wall, we/ve got you covered! We/ve collected everything from baseball cards, action figures, unique camera parts, and kitchy owl paraphanelia. We pride ourselves in keeping things in mint condition ??? ?, so it makes sense that we would also share this obsession for our products. For our recent banner, GR dipped into our valut for his recent photoshoot and people are excited! Heres a comcprehensive list from small to big. Happy spraying! Montana Black 50mlWhat can you say? Dynamite comes in small packages. This is a for sure crowd pleaser. Flame Blue 200ml Pocket Can A great option when you just need a little highlight here and there. Acme Paint Exclusive to packs for more bang for your buck!! Flame Orange Flame Orange, a classic high output. Montana Black Hype colors. This quickly became a 179 favorite. She likes faster horses, younger women, older whisky, and more money! Montana Gold: Always a great option for muralism. Molotow Coversall 1 500ml "Ruff Black"
Ironlak Reload: Contrary to how its named, it is NOT refillable! 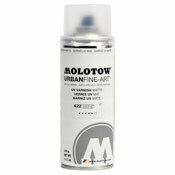 Molotow Burner Chrome 600ml: Such a classic its listed here twice. Montana U L T R A W I D E: Go big or go home. Montana Black XXL 750ml TAPS Limited Edition Discontinued: Sorry friends! *Some of these are out of stock, discontiunued, and/or unavailable.